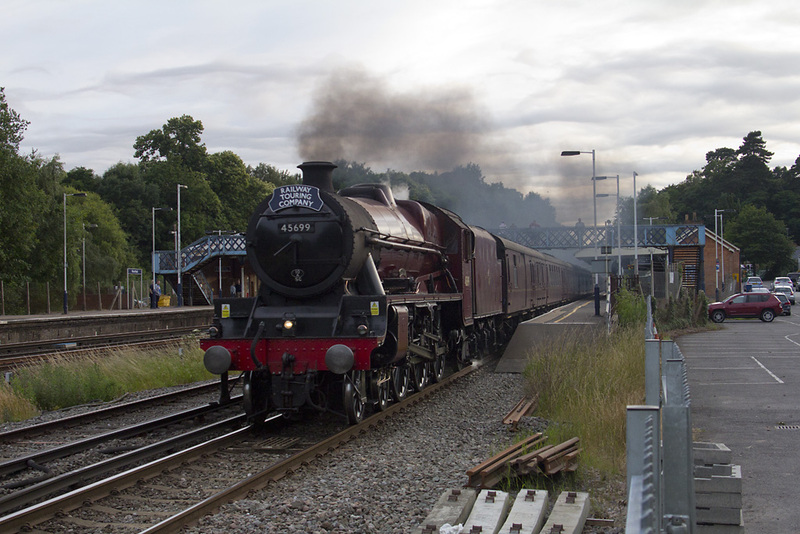 On a humid evening at Winchfield, 45699 hammers through the station with the returning 'End of Southern Steam' tour from Weymouth. A new website to take over from www.fleetsteam.co.uk which was looking a little outdated. Some of the content will be updated over time. Some posts include a link for a sound recording. These will be greatly enhanced by the use of any kind of headphones, but some tracks contain sudden loud noises, watch your hearing! ©5MT. Simple theme. Powered by Blogger.